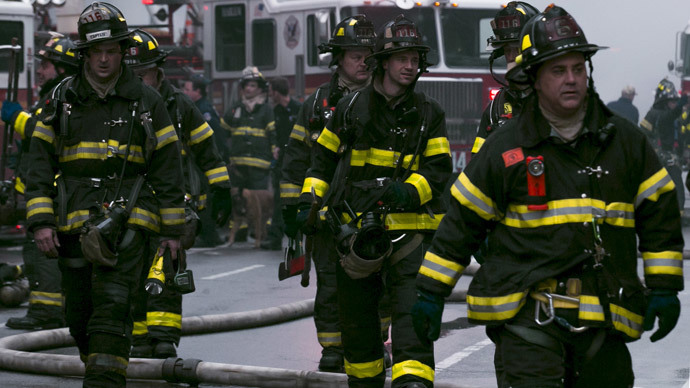 Two people are missing as firefighters work to put out pockets of fire at four buildings in Manhattan’s East Village. A gas explosion in one of them ‒ where inspectors found faulty work ‒ injured 19 and caused three buildings to collapse. Nicholas Figueroa was at the sushi restaurant on the first floor of 121 Second Avenue when the explosion ripped through the building, and he remains unaccounted for, his family told the New York Times. The co-worker he was with was treated for injuries at Bellevue Hospital, her relatives told the Figueroa family. Figueroa and one other person remain unaccounted for, but official missing-person reports have not been filed, according to the NYPD. 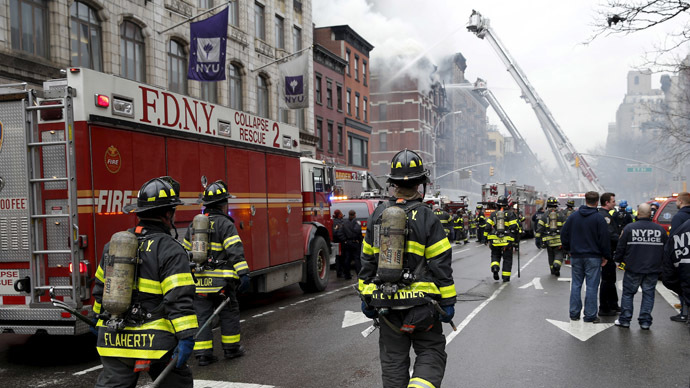 The explosion occurred around 3:15 pm ET, and the fire quickly spread to the buildings at 119, 123 and 125 Second Avenue. The Fire Department upgraded the emergency from a two-alarm to a seven-alarm call within a half-hour. A seven-alarm emergency means that about 250 firefighters were at the location from about 50 fire department units. At least 19 people ‒ and possibly more than 25, according to some local media reports ‒ were injured, four of them critically. The majority of people injured were hurt at the time of the explosion, Nigro said. The critically injured include two people with burns to their airways, and another person who became unconscious after the event. Among emergency workers, four firefighters were taken to area hospitals and one EMS worker was evaluated on the scene, the fire departmentsaid. Preliminary evidence suggested that a gas explosion amid plumbing and gas work inside the building was to blame, city officials said. The utility work failed the inspection partly because a space for the new meters wasn't big enough, ConEd said. “Gas was introduced to the head of service just inside the building’s walls, but was locked there,” Ivey added. 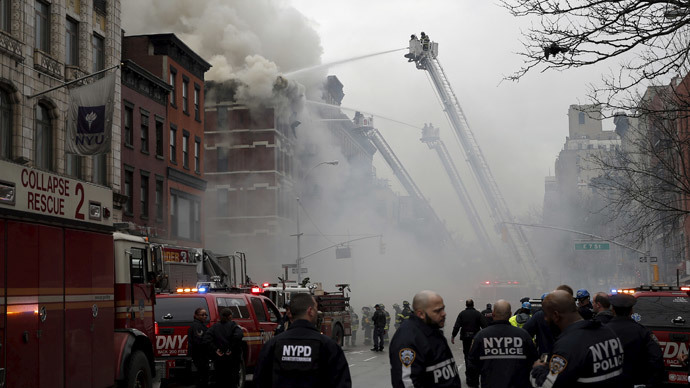 Two of the buildings ‒ 121 and 123 Second Avenue ‒ collapsed as flames still raged. The blaze was so intense that firefighters at one point had to withdraw from the buildings and engage in what one official called a “defensive outside attack,” pumping a deluge of water onto the structures, the New York Times reported. 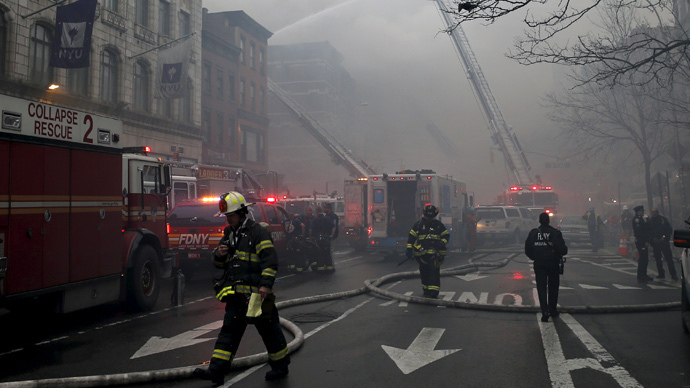 Firefighters contained the fire to 119 Second Avenue, which collapsed overnight. The building at 125 Second Avenue was also damaged by the inferno. As of 7 a.m., 50 firefighters were still at the scene, using high-powered water towers to extinguish pockets of fire, pouring gallons of water over the wreckage, a giant wave of crumbled brick, twisted metal and splintered wood, AP reported. Heartbroken for our #eastvillage neighbors and neighborhood this morning. A light rain is helping keep the smell of smoke from permeating the city, but neighbors said the sirens and smell from the burning buildings kept them up throughout the night. Sopranos star Drea De Matteo was one of those whose apartment was destroyed due to the blaze in the trendy Manhattan neighborhood. "A hole where my NYC home of the last 22 years once stood…" she wrote in an Instagram post. "RIP 123 2nd Avenue."